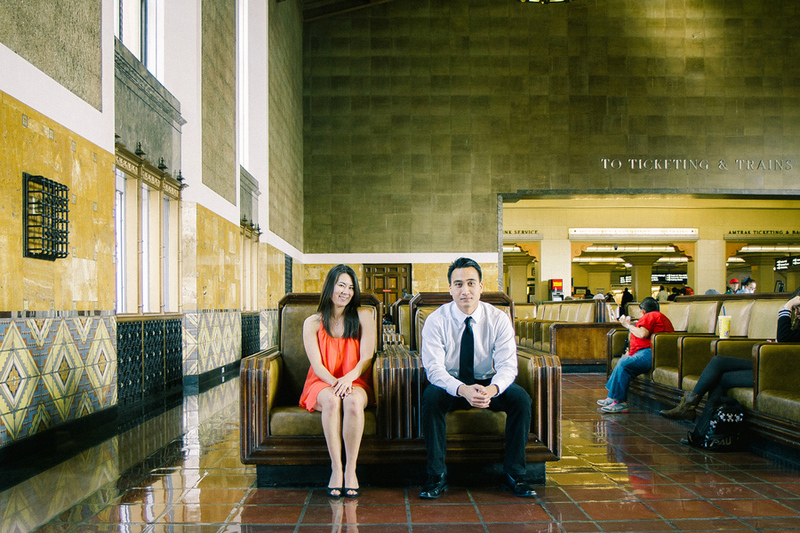 Photographer Andy, of Andy Bang Photographers, sent over this lovely couple's engagement shoot, which took place in Downtown L.A. You can clearly see how much fun these two had milling about Union Station, and other various spots throughout the city, as their vibe is so cheerful and playful, and of course, they are utterly in love with each other. Drew and Allison are two cute peas in a pod. 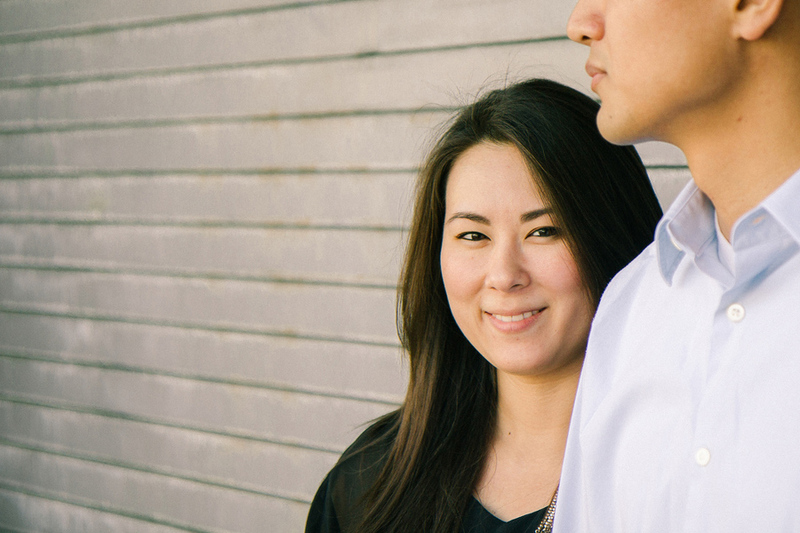 They each work at high-stress jobs and yet find the time to make their relationship work. 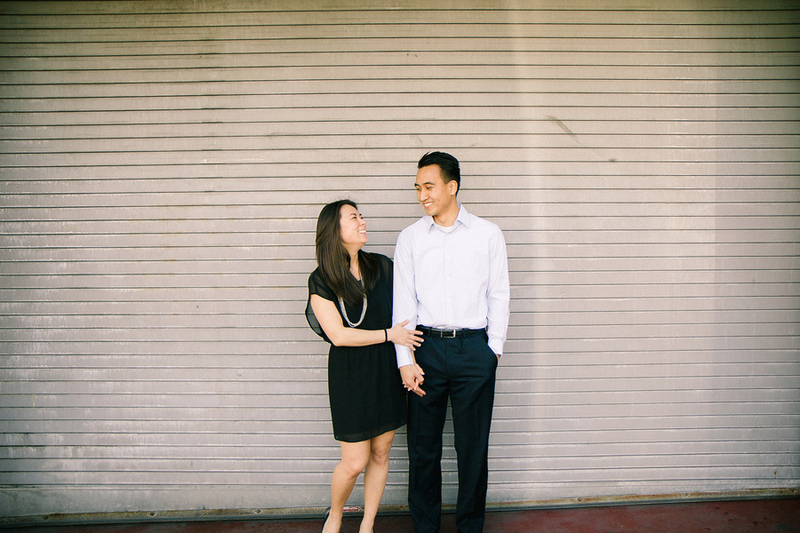 This is an engagement session we did with them in downtown Los Angeles. We visited several hot spots including Union Station, Angels Knoll and wandered the streets of LA. They were dating for years before Drew popped the question at the beach with a surprise bonfire with all their friends. 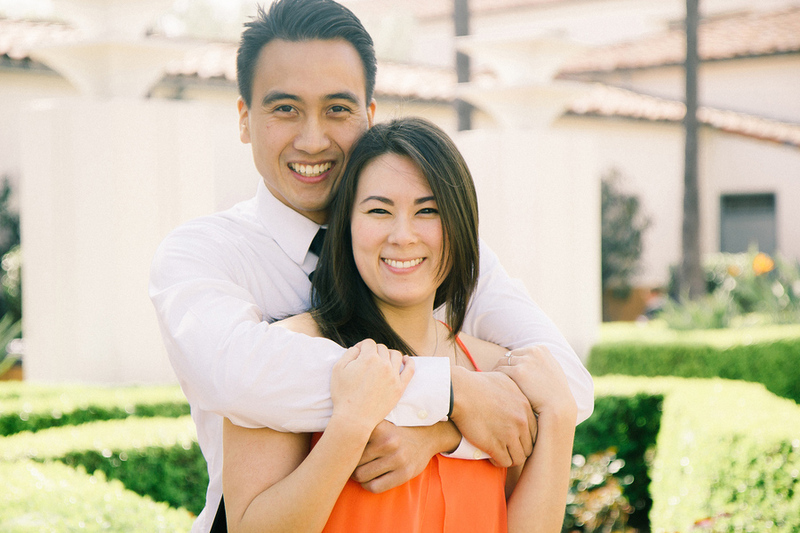 They are planning to get married in sunny Santa Barbara at the Montecito Country Club this September. I love the different wardrobe styles for each spot. 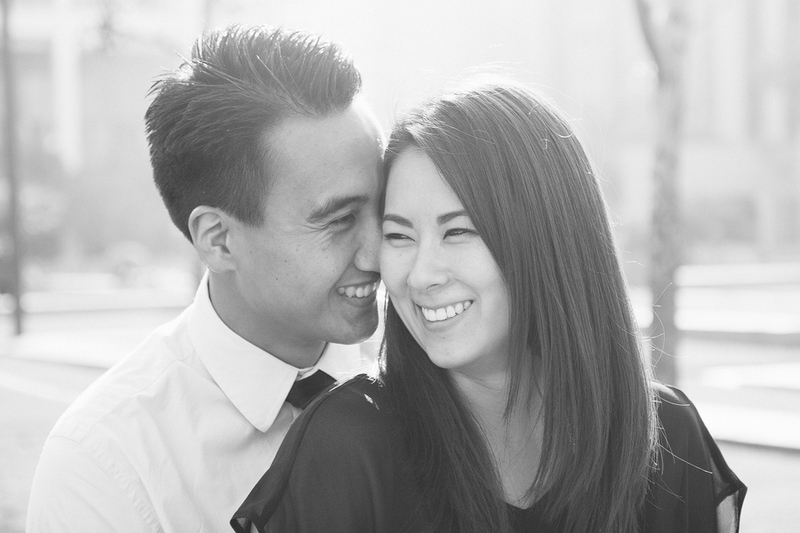 It really shows this couple put a lot of thought and style into their engagement shoot. I think my fave images are in Union Station. Its kind of sleek and edgy with the exposed brick of the building and the tile, and the angle of the shots. The whole shoot turned out great for this young couple, and I imagine they are quite content with the outcome. We wish them much luck on their upcoming wedding! Thanks to Andy Bang Photographers for submitting to us your work!